The speedway, in an effort to improve and diversify its fan experience, is making a number of enhancements to the speedway's seating and viewing areas for 2018. 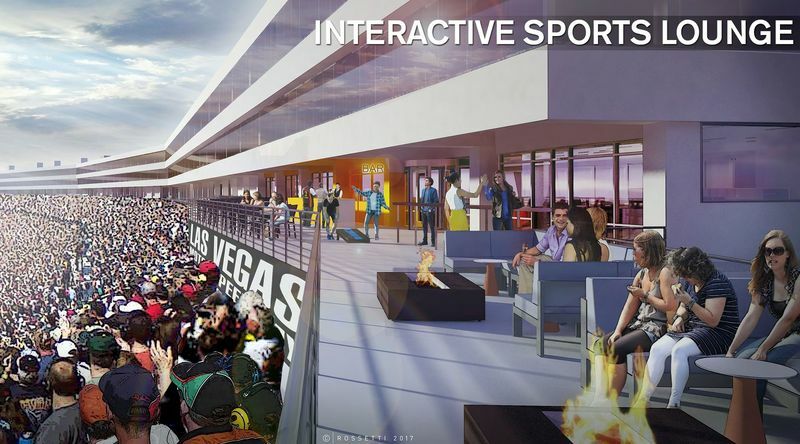 The renovations, designed by the Detroit-based architectural firm Rossetti, will modernize and transform LVMS's fan experience, bringing the facility to a new level and in line with fan expectations that continue to evolve at sports venues. Enhancements include three completely renovated, exclusive clubhouse areas; the new Turn One Social Pavilion; two separate loge-box seat offerings; and a racing-inspired, interactive sports lounge. The renovations are currently under way and will be in place for the speedway's first of two tripleheader NASCAR weekends next year. "We're extremely excited about the enhancements we have planned for our speedway, and we know fans will enjoy the new features," LVMS President Chris Powell said. "Sports fans today are looking for greater variety and expect a more dynamic experience at events, and our enhancements will help provide them with memories they won't soon forget. These changes will help modernize and diversify our facility, and we can't wait for our loyal fans to reap the benefits of the improvements. "We have big plans for 2018, and these improvements are a major part of what we expect to be a monumental year for our speedway." The clubhouse-member experience will be redefined at the track, as rails will separate the ends of the club seating sections and gates will mark the ends of aisles leading to general seating, making it a truly exclusive area. The terrace between club seating and clubhouses will enhance the guest experience by providing an outdoor social zone where members can mingle at tables and meander through drink rails while still feeling connected to the event. The interior of the clubhouses will be remodeled to meet the demands of modern, club-member expectations, including a flexible space containing multiple portable food-and-beverage options, a combination of different types of tables and chairs and soft, lounge seating. 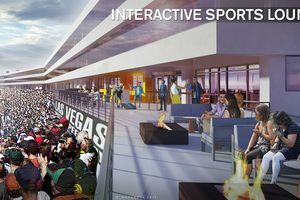 The clubhouses will feature new finishes that enhance the racing experience and will be tied within the framework of a "speed and light" theme to exemplify racing and the city of Las Vegas. Below the Richard Petty Terrace near Turn 1, the speedway will showcase multiple platforms of seating, including loge boxes. The area will seat approximately 200 fans and will cater to die-hard race fans who want to be close to the action while enjoying the comforts of swiveling armchairs, padded seating, all-inclusive food-and-beverage stations courtesy of Levy Restaurants, wait-staff service and drink rails. In addition, the Turn One Social Pavilion, in the area between the start-finish line and Turn 1, will create the ultimate flexible party zone adjacent to the racing surface. One continuous platform will allow for multiple seating areas, social zones and game playing. Fans who have purchased annual and weekend grandstand tickets, along with premium-seat holders, will have access to the speedway's new interactive sports lounge, a 5,200-square-foot delight for the senses located in a reconfigured area located above the general seating between Turn 4 and the start-finish line. The sports lounge will be a hotbed of activity and will give fans a chance to gather in a social environment surrounded by a multitude of static and dynamic displays. Attendees will be able to keep tabs on all of their favorite sporting events via a wall of flat-screen TVs while still being a part of the excitement taking place on the track. The lounge's interior will include seating for 140 and a permanent central bar with strategically placed portable food zones, multiple seating options and restrooms. In addition, the sports lounge's footprint also will include a large exterior terrace extended over the existing stadium seating, the perfect area for a "party platform" environment that will be complete with portable food and beverage carts, areas for games, social tables and lounge seating surrounding fire pits. The sports lounge also will include a number of dashboard-style digital information displays, as well as racing-related signage and information areas. More than 40 seats with panoramic views of the track are also planned for the new lounge. Fans interested in locking in their specific VIP experience can choose from the variety of enhanced, premium-seating options by calling the LVMS Sales and Marketing Department at 702-632-8254 or by e-mailing lvmsenhancements@lvms.com. LVMS will make history in 2018 when it becomes the first NASCAR speedway to host two tripleheader weekends in the same year. In addition to the March 2-4 Pennzoil 400 presented by Jiffy Lube Weekend, the speedway will host its first late-season NASCAR Weekend Sept. 14-16. Tickets are available by calling 1-800-644-4444 or logging on to www.LVMS.com. Click HERE to see renderings of the planned enhancements.